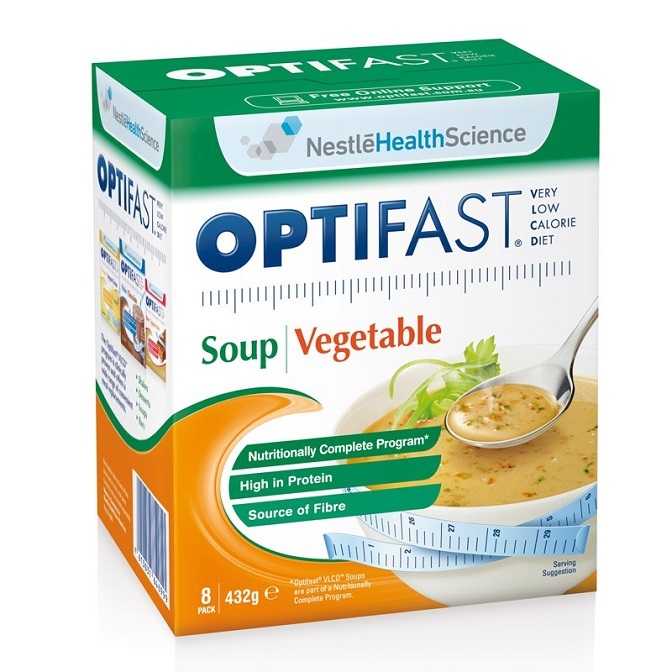 Optifast soup provides a hot savoury alternative to both the shake and bars. It is available in three delicious flavours including mixed vegetable, tomato or chicken. This soup provides a delicious, creamy consistency which offers you all the essential vitamins and minerals for optimal health and wellbeing. It is also high in protein and can be enjoyed at any time of the day. To prepare the soup, you just add one sachet of Optifast into 200ml of hot water. Mix until the contents are fully dissolved. You can also add 200ml of cold water and microwave for one minute. You can also add some green vegetables to the soup.